Queen Elizabeth is keeping her sentiments focused on home during her annual Christmas message, paying tribute to her husband Prince Philip, as well as the people of the United Kingdom during the 2017 broadcast. And like proud grandmothers and great-grandmothers everywhere, the Queen had a few beloved family photos on display on her desk during the broadcast. Framed photos of Prince George and Princess Charlotte sat nearest to the Queen. She also had a photo from her wedding day and the official portrait she and Philip took this year to mark their 70th wedding anniversary. The 91-year-old also paid tribute to her country’s resilience amid terror attacks in 2017 on both London and Manchester. “This Christmas, I think of London and Manchester, whose powerful identities shone through over the past twelve months in the face of appalling attacks,” the Queen remarked. “Our thoughts and prayers are with all those who died and those who lost so much; and we are indebted to members of the emergency services who risked their own lives, this past year, saving others. Many of them, of course, will not be at home today because they are working, to protect us,” she said. The message was filmed this year in the 1844 Room at Buckingham Palace and also features performances by the Commonwealth Youth Orchestra and Choir, conducted by Artistic Director, Paul Carroll. The choir was comprised of 52 children, in representation of the 52 nations of the Commonwealth. For the occasion, the Queen wore an ivory white bouclé dress embellished with Swarovski crystals, designed by Angela Kelly. The Queen’s address was broadcasted on television and radio on Christmas day, and was also available on the Royal Channel on Youtube. Queen Elizabeth and Prince Philip headed from Buckingham Palace to Sandringham House last week, where they’re celebrating Christmas. Last year, the Queen skipped out on much of the festivities due to a heavy cold. She didn’t go out on Christmas Day for the services at the Church of St. Mary Magdalene and she wasn’t seen in public until early January. Then, she headed to church with Prince William and Kate Middleton – and helped them celebrate Kate’s 35th birthday, by entertaining the couple and their friends at a dinner. In addition to further celebrating her and Philip’s anniversary, the royal couple will be joined by Prince Harry and fiancé Meghan Markle. The passing of F A Rupert Mullings, CD, – Feb 2, 1930 – July 18, 2017, late of of Bull Savannah and Big Woods (St Elizabeth Parish, Jamaica), the Caribbean Development Bank, Barbados and the Ministry of Finance, Jamaica, was announced quietly, he having died shortly after his son Gordon, who resides in Montserrat with his wife and family, had arrived to visit with him in hospital in Jamaica. A thanksgiving service was held for the life of F A Rupert Mullings at St Aidan Anglican Church, Bull Savannah, on August 5, 2017; “in-urn-ment” of ashes followed at 11:00 a.m. on August 11, at Bull Savannah. Among the many tributes that were published after his passing, the following captures what most who know would likely and say of Mr. Mullings. My first encounter with Mr Mullings was in 1971 in Jamaica where he tried to recruit me to join him and now the late Aynsley Elliot to assist in establishing a research department for the Jamaica Tourist Board. 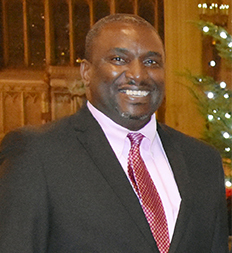 Our lives became virtually psychologically and philosophically bonded, when five years later, and in Barbados, over a span of eleven years he became my and CDBs Director of Economics and Programming, and later, the institutions ranking Vice President. He mentored, tutored, inspired, encouraged and guided me through a meteoric rise in CDB from the positions of Economist, Assistant Director, Deputy Director, Director and, ultimately, as his replacement as Vice President Operations over the comparatively short period of under twelve years. 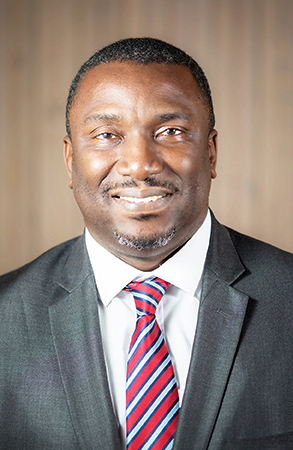 He was invited to be part of the early formative CDB management team for this premiere regional financial institution but chose to influence its ownership, governance and financial structures and corporate philosophy from the sidelines of the Ministry of Finance, where he was Deputy Financial Secretary of Jamaica which country, is, with Trinidad and Tobago, CDB’s largest shareholder. But when he did get on board in 1976, he began to make his influence felt. He continued the work of Arthur Lewis in enhancing the intellectual rigour of CDB’s work to contribute to the optimal social and economic development of our English speaking Caribbean, and gave the institution international credibility, integrity and respect. He never got, formally, to the top but was as effective, influential and as, and even more impactful, than many of its formal leaders. Mr Mullings was an invaluable asset to any institution but his uncompromising attitude to rightly principles, and his unscrupulous integrity and honesty would never see him ascending to the top in man made institutions. In the next three years when the fiftieth anniversary of CDB is evaluated and celebrated the following five names will stand out as the greatest management contributors to the early and lasting development of CDB: Sir Arthur Lewis (vision, management, international profile); William Demas (economic development and regionalism); Sir Neville Nicholls (legal issues and matters); Crispin Sorhaindo (public administration and human resource management; and Rupert Mullings (macro-and micro- economic and financial analysis). trust my living Saviour to make me live again! And with no grief, and no pain. May I, though dead, yet speak to those, who remain. And touch them like the school boys ‘las lick’, which was really “Goodbye, till tomorrow! ” Amen! The St Rose, Sir Neville Nichols and CDB families join his wife for 10 days short of 61 years, your nuclear and extended blood and adopted families to say farewell, to commend you for a long life well spent, and to wish you the perpetual and pain free peace yearned, as promised, us by our Dear Saviour, Jesus. Your biggest regret was predeceasing Winnie but you know that everything will be alright as God is in charge and knows best. Farewell dear friend and mentor! Our condolences from Montserrat Printing & Publishing Inc. and The Montserrat Reporter especially to Gordon Mullings and his family. CASTRIES, St. Lucia, Mar 17, CMC – The St Lucia born poet and playwright, Sir Derek Walcott, who received the Nobel Prize for Literature in 1992, and had the distinction of bringing the history and culture of the Caribbean people to the attention of a global community died on Friday. He was 87. He was one of two St. Lucians to have received the prestigious Nobel Prize, following Sir Arthur Lewis, who won the award for economics in 1979. “When everyone speaks about excellence in St. Lucia and describe St. Lucia with any kind of superlatives, clearly the two names that stand tall in St. Lucia’s history are those of Sir Arthur Lewis and Sir Derek Walcott,” said Prime Minister Allen Chastanet as he led the island in paying tribute to the gifted cultural icon. 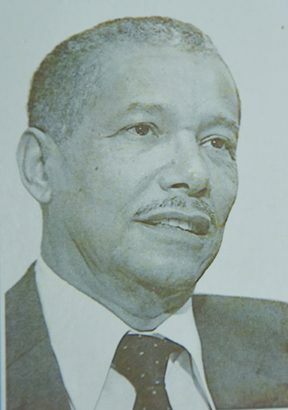 Sir Derek Alton Walcott, died at his home at Cap Estate, north of here, and had been ailing for some time and had been on a dialysis machine, a family source said. He had recently been released from hospital and passed away peacefully with his family at his bedside. “While he and I may not have agreed on everything, he was always very consistent and very emotional about being Caribbean and being original,” Chastanet, said describing Sir Derek as someone who always participated in many national events. “He continued to fly the flag real high,” Chastanet said, adding “we can now sit back and reflect on his achievements which are so incredible”. 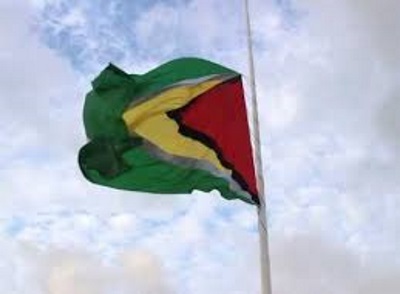 The St. Lucia government has ordered all fly flags to be flown at half mast, at least until Tuesday. “I am in discussion with his wife, his partner, Sigrid and also in discussion with the artistic community here in St. Lucia of what other tributes we can pay to this icon of a man,” Chastanet said. Caribbean Community (CARICOM) Secretary General Irwin LaRocque tweeted that Walcott was “a Caribbean treasure” while the sub-regional Organisation of Eastern Caribbean States (OECS) said that Walcott’s “soul will forever live on through his body of award-winning literary works”. OECS Chairman and St. Kitts-Nevis Prime Minister Dr. Timothy Harris said that Walcott weas awarded the Nobel Prize in 1992 “for a poetic oeuvre of great luminosity, sustained by a historical vision, the outcome of a multicultural commitment. Dominican-born playwright Dr. Alwyn Bully, whose theatre company had produced many of Walcott’s plays, described him “as one of the greatest writers of the world. “I think he also had the distinction of bringing the history and culture of the cari8bbean people to the attention of literacy circles worldwide, Bully said, adding that Walcott had encouraged many other playwrights. “He will be solely missed by the entire Caribbean, but his work will endure forever,” Bully said. But this was matched by a theatrical career conducted mostly in the islands of his birth as a director and writer with more than 80 plays to his credit. He won the TS Eliot Prize for Poetry in 2011. His winning collection for the TS Eliot Prize, White Egrets, was called “a moving, risk-taking and technically flawless book by a great poet” by the judges. 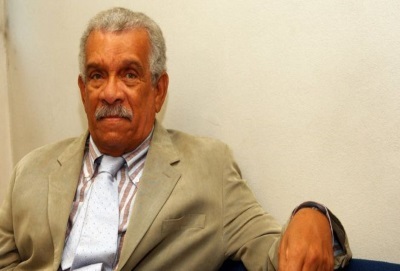 “The arts fraternity, St. Lucia and the world has lost one of its noted literary icons, Sir Derek Walcott,” the Cultural Development Foundation (CDF) here said in a statement, noting that “he was very vocal about the island’s culture and heritage and its preservation and his love for Saint Lucia and the Caribbean was evident in his numerous mentions of “home” in his work. Walcott was born on January 23, 1930 in the capital, Castries and he had acknowledged that the experience of growing up on the isolated volcanic island, an ex-British colony, has had a strong influence on Walcott’s life and work. Both his grandmothers were said to have been the descendants of slaves. His father, a Bohemian watercolourist, died when Derek and his twin brother, Roderick, were only a few years old. His mother ran the town’s Methodist school. After studying at St. Mary’s College here and at the University of the West Indies (UWI) in Jamaica, Walcott moved in 1953 to Trinidad, where he worked as theatre and art critic. At the age of 18, he made his debut with 25 Poems, but his breakthrough came with the collection of poems, In a Green Night (1962). For many years, he has divided his time between Trinidad, where he had his home as a writer, and Boston University, where he taught literature and creative writing. His illustrious body of work includes: Three Plays: The Last Carnival; Beef, No Chicken and A Branch of the Blue Nile (1969), Dream on Monkey Mountain and Other Plays (1970), The Joker of Seville and O Babylon! (1978), Remembrance and Pantomime (1980), The Isle is Full of Noises (1982), Omeros (1990) and The Odyssey: A Stage Version (1992). Walcott received numerous awards including a Royal Society of Literature Award, the Queen’s medal of Poetry and a MacArthur Foundation genius award. In 2016, as part of Independence celebrations, he was given the title of “Sir”, one of the first to be knighted under the Order of St. Lucia. Sir Derek Walcott, is survived by three children Peter, Elizabeth, and Anna. The St. Lucia government Tuesday announced that the Nobel Laureate Sir Derek Alton Walcott, will be given a state funeral on Saturday. State funerals are usually reserved for heads of state and governments, but the Allen Chastanet government approved of the decision on Monday in light of Walcott’s exceptional contribution to the literary and artistic legacy of St.Lucia, the Caribbean and the world. The funeral of Sir Derek poet, artist, playwright, and 1992 Nobel Laureate in Literature, will take place at the Basilica of the Immaculate Conception in the capital starting at 2.00 pm (local time) and his body will lie in state at the Parliament for public viewing ahead of the service that will be broadcast live and shown on television screens at the nearby Square that bears Walcott’s name. 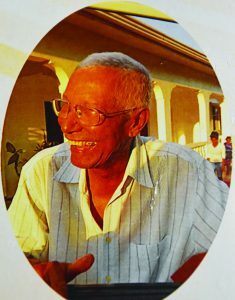 Sir Derek will be buried at Morne Fortune, near the Inniskilling Monument, a site vested in the St. Lucia National Trust and within close proximity of fellow Nobel Laureate, Sir Arthur Lewis. A government statement noted that an evening of tribute and celebration will be held on Friday at the National Cultural Centre hosted by the Cultural Development Foundation and will include readings, recitations and performances by local and visiting artists, writers and musicians. GEORGETOWN, Guyana, Feb 23, CMC – Guyana is marking the 47th anniversary of republican status with President David Granger saying it provides an opportunity to “celebrate the uniqueness of our nationhood”. Addressing the flag raising ceremony at D’urban Park, Granger paid tribute to early inhabitants of the country whom he said “have welded our country, irreversibly, into a plural society. “The Republic guaranteed greater cultural freedom, encouraged diverse beliefs, respected differences of creed, culture, race or religion and entrenched constitutional protection to proscribe discrimination. 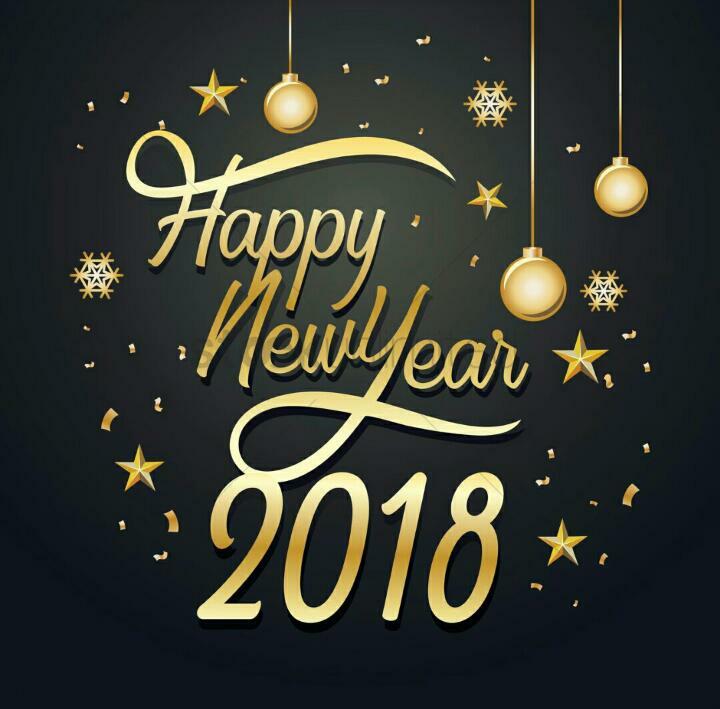 “The Republic started the task of shaping a society that was culturally plural by promoting the unhindered celebration of the Christian, Islamic and the Hindu festivals. The Republic aspired to ensure that we would live together in harmony free from racial and religious conflict,” he added. Granger said Guyana is committed to eliminating extreme poverty, eradicating inequalities; expanding the space for cultural diversity and enhancing the sense of national belonging. He said the Caribbean Community (CARICOM) country is becoming a more socially cohesive country, working “towards the well-being of all its members, fights exclusion and marginalisation, creates a sense of belonging [and] promotes trust. In his address, President Granger highlighted the contributions of East Indians to the country’s development as they also celebrate the 100th anniversary of their arrival here as indentured servants. 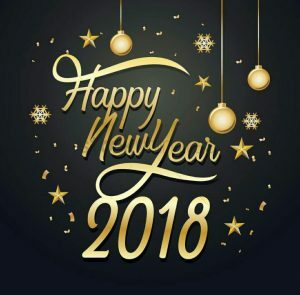 He said said 2017 is an opportunity for Guyana to celebrate the contributions of the Indian community and credited the almost 240,000 Indians, who were transported to then British Guiana from 1838 to work mainly on sugar plantations, with contributing to the cultural and economic development of Guyana. “Most of the indentured immigrants remained to make our country their home at the end of their contracts of service. They invigorated our cultural life with devotional festivals, colourful dress, tasty foods, vivacious dance, vibrant music, two great world religions – Hinduism and Islam – and other cultural retentions. “Indian indentured immigration reshaped our economic landscape by making an indelible mark on the cattle, coconut, fishing, rice and sugar industries. The Indian impact is visible on every aspect of national life – the arts, business, diplomacy, education, engineering, industry, jewellery, law, media, medicine, politics, the public service and trade unionism,” he said. President Granger said Guyana’s 47th anniversary as a republic “is a happy occasion to celebrate the uniqueness of our nationhood” intensified efforts to unite the descendants of fore-parents who were brought to these shores, either as enslaved workers or indentured labourers, to toil on the plantations. “Independence reminded us, also, that it was their struggles – their resistance, revolts and riots on the plantations – which helped to make their descendants a free people and to make this country a free state. “The establishment of the Cooperative Republic on 23rd February 1970 intensified our efforts to unite our peoples into a plural nation under the inspirational motto – ‘One people, One nation, One destiny’,” he said. Persons booking on Fly Montserrat must go to the Access Office located on the top floor of the E. Carney Osborne Building in Little Bay, with their ferry ticket for refund. Please note: Ferry tickets are valid for one year of purchase date. Refunds are only available for those persons traveling within this interim period of 7th April to 7th May. Persons must plan and book ahead of traveling. 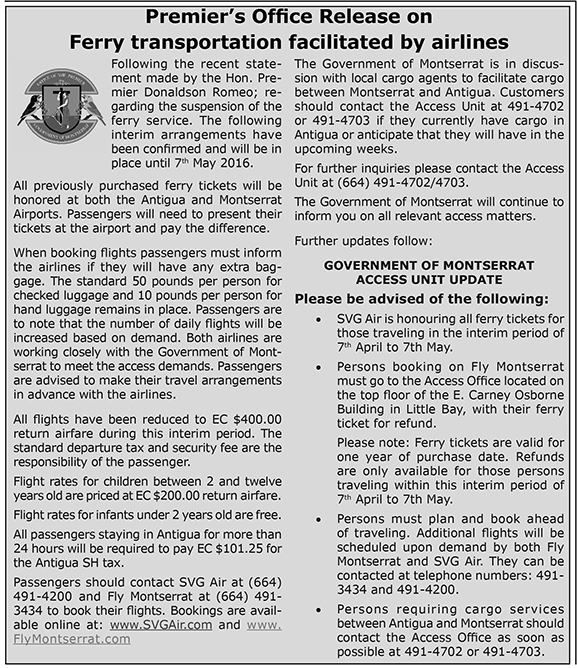 Additional flights will be scheduled upon demand by both Fly Montserrat and SVG Air. They can be contacted at telephone numbers: 491-3434 and 491-4200. Persons requiring cargo services between Antigua and Montserrat should continue to contact the Access Office at 491-4702 or 491-4703.